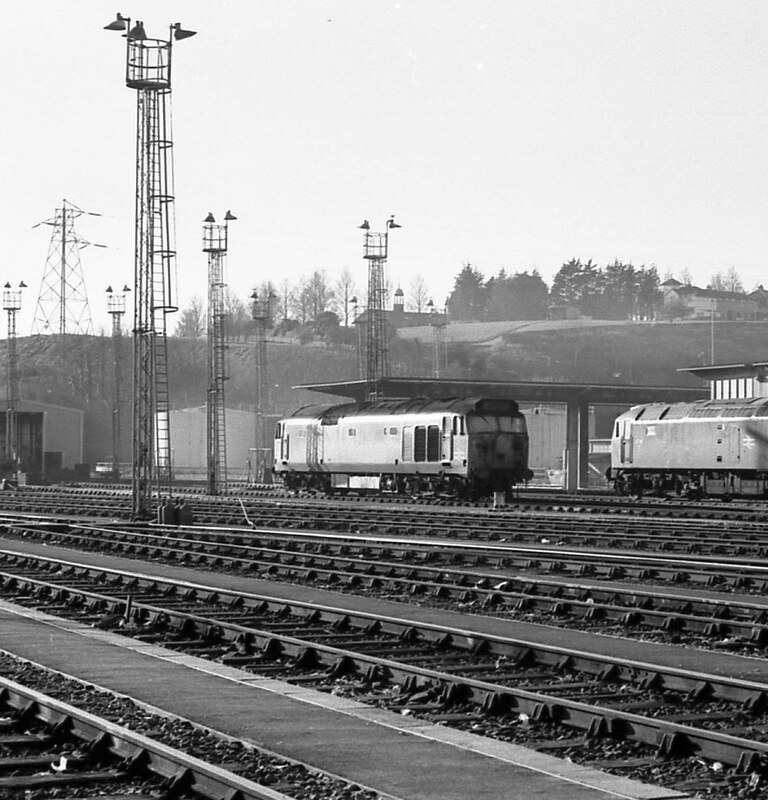 The ex-Great Western Railway locomotive depot had been rebuilt as a modern diesel depot in the 1960s. This view was from the A374, Embankment Road, outside the boundary fence and shows Class 50 50017 &, Class 47 47116 diesels in the yard. Originally D417, later named Royal Oak, 50017 has fortunately survived and is preserved close by at the Plym Valley Railway. 22:01 service 23 & 24 back to normal working. Sorry for any inconvenience caused.